A shift has taken place with companies running public, private and hybrid cloud. 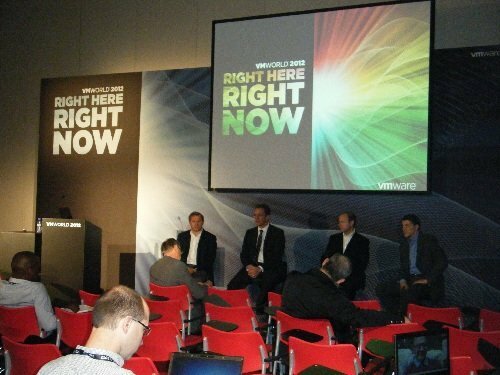 So said Jorg Liebe, chief information officer of Lufthansa Systems, during a session at VMworld Europe 2012. Headquartered in Kelsterbach, near Frankfurt am Main, Lufthansa Systems hosts a variety of applications for airlines and travel companies. Many of these multi tenant systems are business-critical, running booking engines and aircraft navigation systems. For example, in February, German airline Eurowings chose Lufthansa Systems to provide datacentre operations and SAP application management and hosting. Eurowings uses around ten applications vital to its flight operations. Liebe said: “The vCloud approach is somewhere in the middle of the private and the public. Instead of running the cloud of our datacentre in Germany, we can deploy near the airline customer and still maintain security and management.